Wow. This is really interesting. When we did our evaluation of PSA software, a large reason we chose ConnectWise was that all of the companies I would term "best of class" in the IT services industry used ConnectWise. In my HTG group, 10 of 12 companies use ConnectWise. One used AT, and one used a home grown system. Both have since converted to ConnectWise. It will be interesting to read your blog throughout 2009 to see how it plays out! WoW! Karl shakin it up at the end of the year... this one really took me by surprise. Our company also uses Autotask and while they have had their growing pains in the past (Tom), this last year or so I have really been impressed by how fast they have matured the product, from usability, features & functionality, UI, speed, etc. The Autotask team is great as well. As a PSA, they have historically seemed much more open to integrating with whatever your RMM tool of choice may be. Tom: I went through the same process three years ago and came up with Connectwise as the answer. This year I believe the answer has changed. I'm not sure what's to get over with regard to not having the data on our server. That's the future, baby. Jeff: You almost spoiled my announcement! I didn't want to delete your comment, but I also didn't want to respond to it. Ouch. I'm guessing Arnie is gonna be at your doorstep with the knife in his mouth in 3..2..1..
Karl, one of the reasons that I love coming to your blog, listening to your conference calls, and listening to you talk at conferences is that you are very open minded and not set in your ways. If something better comes along, you are open minded enough to see it as an opportunity. We all need to be open to other ideas and products so that we are able to stay current with our businesses. Karl, I never thought the day would come when I would hear you change to AutoTask :-).. When I was looking at a PSA tool, I settled on Connectwise because it seemed a better option and the biggest thing for me was that the data is stored on premis. I do wish you luck with the AutoTask, and look forward to reading some more posts as to how its going. You mentioned a few things Autotask does well, but Connectwise does those as well. I tried Autotask but was so frustrated with the speed and amount of clicks to do anything that I'm close to spending the money on Connectwise. I have tried AutoTask myself and the #1 reason why I didn't like it was the amount of pop up windows that you have go through to do anything. I'm not sure if that has changed now. Good luck and please keep us posted with the transition. For all of you folks who currently use ConnectWise based on an evaluation and purchase decision made some time ago, one thing to keep in mind is that we live in a very dynamic world. You, among all people, should be sensitive to the pace at which technology changes. Autotask Corporation is a software company dedicated to serving the IT service industry. It's all we do. We're not a solution provider that developed a piece of software to sell to our friends. We have a huge development team here in the US and in China so that we can code 24 hours a day, and we have terrific financial backing that has allowed us to continue to invest in our infrastructure. And we have a robust customer service department focused on ensuring the success of our users. In the past year alone we have made some huge improvements to the UI, the performance, the feature set, and the other products with which we integrate. And, because we are a hosted solution, we can roll out these improvements very quickly and seamlessly without downloads, patches, updates, installs, conflicts, back-ups, etc. Change is scary for everyone -- even if it's for the better -- and inertia is a very difficult thing to overcome. We commend Karl for taking stock in his business operations and making the changes that he feels will position him for growth. And we're delighted that all of our hard work over the past year has earned his business. 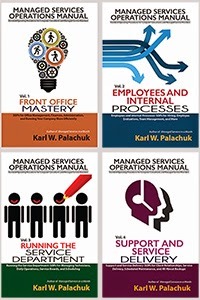 Karl joins 25,000 other IT service pros who also believe that our hosted software represents a great solution today, and the best bet for the future. If anyone reading this hasn't seen Autotask recently, we'd be happy to arrange for a personal, one-on-one demo at your convenience. Congratulations on winning Karl’s business, Bob. ConnectWise knows that’s it’s not easy to gain the confidence of IT services companies making this huge decision. That’s why we’re pleased that our user community grew by over 30% to over 2,000 companies during 2008, including many that are upgrading from other PSA solutions to ConnectWise. Over 20% of the companies that selected us this year contacted us after getting referrals from our existing partners. And all of them had a choice of running our application at their location or ours. Competition is good! It makes both of us better. See you on the playing field. I thought AutoTask didn't integrate with Zenith. Speaking with Zenith, they said their API for AutoTask is at least six months away and only ConnectWise is supported now. True, they're not completely integrated yet. That just makes Zenith's job that much harder. My understanding is that they're working hard on this and that all sides believe they would benefit from a fuller integration. Just another bump on the road of life. Hi Karl - how about an update after month 1? We are AT users for 2 years & I'm looking at moving the other way? How are you coping with all the things which AT doesn't do & the speed of navigation around the interface? The transition is going very well. So far we haven't found anything that worked in ConnectWise that doesn't work in Autotask. In most areas, we don't have all the experience we need to make a full evaluation. But for all the things we use regularly, we're very happy. As for speed, I think there's a perception issue. At times, I wait a bit for a window to open. 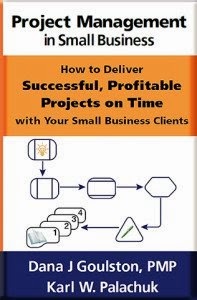 But when you take a step back and look at the time it takes to walk through creating a contract or invoicing a client, both of those processes are noticably faster in AT. And I'll tell you this: You couldn't possible switch the other way and be up to speed in 30 days. January was a busy month, and I was out of town the entire last week. So I still need to learn a bunch of stuff in AT. So far, it's doing a great job for us. Karl, I want to congratulate you on making a switch in your PSA software. At Tigerpaw, we’re well aware of the challenges involved in doing so – you are a brave man.  For everyone else considering a switch, I encourage you to consider Tigerpaw. We’ve been automating IT companies for 25 years. We are THE ONLY complete, end-to-end solution. With Tigerpaw, you have full CRM (contact management and scheduling), opportunity management, a complete quoting and proposal generating system, a massively robust service and contract management module, serialized tracking, bar coding support, document management, and the best inventory control in the business; all in one program – all in one SQL database. All of our code is written and our support performed here in the US, at our headquarters, and we average less than 3 minutes response time on our #800 support line. In addition, we don’t make you designate a “champion” and restrict your support to that one person; everyone in your company can call for support. Couple that with expert engineering, a CONCURRENT LICENSING model, a SQL database that sits on YOUR server, and the fact that you own your software and aren’t stuck paying rental fees until you die and you’ll see that we’re committed to your success. With integrations to Level Platforms, Kaseya, and N-Able all in final beta plus real-time integration to Exchange Server and Networkfleet, we are a compelling company. Our biggest failing has been simply flying under the radar for too long. But as many of you can attest (by having seen us at over 15 industry shows last year), that is changing. In fact, I look forward to meeting many of you at Robin Robin’s boot camp in April! This is useful as my team and I are currently evaluating Autotask and ConnectWise. Perhaps I missed something. While I certainly appreciate all the positives associated with Autotask, I didn't understand the real business case behind the switch? Also to the group, ConnectWise purports to have a hosted option now. I would appreciate a reaction from anyone who's tried it out. I was wondering how has it been now that it has been close to 3 months using Autotask. We are looking both at Connectwise and Autotask just wondering what your toughts were now that you have been using it for a while.